(ERGO) – Around 3,500 fishermen in Somaliland have been put out of a living by the tropical cyclone Sagar that struck northern parts of Somalia on 18 May. Fishermen in Lughaya, Berbera, Sayla, Laas-qoray and El-Sheikh are struggling to feed their families after losing equipment and the damage of infrastructure. Ali Hussein Nur, director of Somaliland’s ministry of pastoralism and fishing, said four large fish cold storage facilities in Lughaya had been destroyed in the storms. The deputy chairman of the fishermen association in Lughaya, Awil Hussein, said their 1,500 members had seen their income slashed. 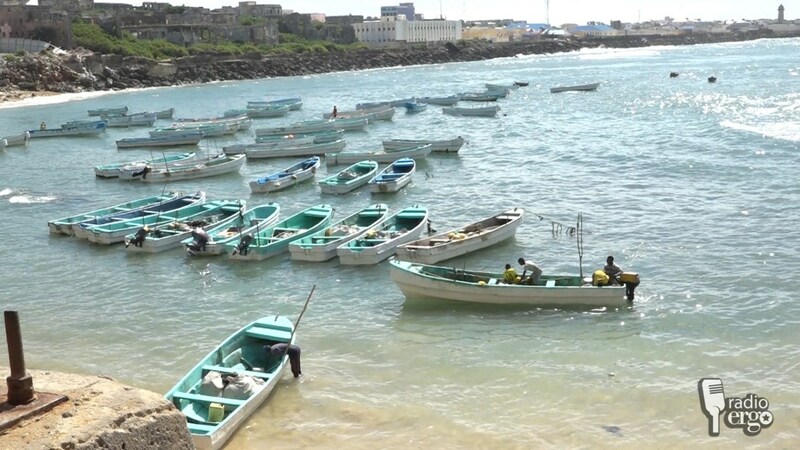 Feysal Ali Sheikh, director of Somaliland’s disaster preparedness and food storage agency, said 53 fishermen who were out at sea when the storm came had made narrow escapes. Their boats were destroyed whilst the men were saved by the coast guards. Feysal said the government had issued warnings to stay away from the ocean two days prior to the cyclone. However, the fishermen continued to go out to fish. Feysal said he asked the regional administration to send out the coast guard to save fishermen stranded some 200 metres off shore as the storm increased. Mohamud Farah Ali, a fisherman in Las-qoray, Sanag region, and a father of five, normally earns $6 a day from fishing. His family is currently buying food on credit from the stores. Mohamud and two others were saved off Lasqoray coast. He told Radio Ergo they were powerless to navigate their way back to the shore due to the high winds. After two hours in the rain and storm, the coast guard came to their rescue. Some families dependent on fishing are now relying on aid handouts from Somaliland and Djibouti, as well as from UN agencies including UNICEF and WFP. Hussein Ibrahim Rayaale lost his house in the storm and is sheltering with his four children under plastic sheeting given out by UNICEF. He said they lost all their belongings. Awil Hussein, deputy chairman of the fishermen’s association in Lughaya, told Radio Ergo they have not calculated the losses caused by the cyclone. They are working to rebuild the fish storage facilities.